The only thing you need in order to get started is an active email account. Simply visit our website, fill in the sign-up form and register your account. 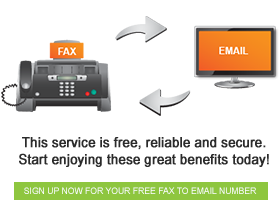 Once you have a fax number registered with FaxFX, all faxes sent to you will appear in your inbox as emails, either in PDF or TIFF file format. o be able to send a fax from your email account, all you need is to have a positive balance of FaxOut credits. You can top up by logging onto your account and clicking “buy credits”.